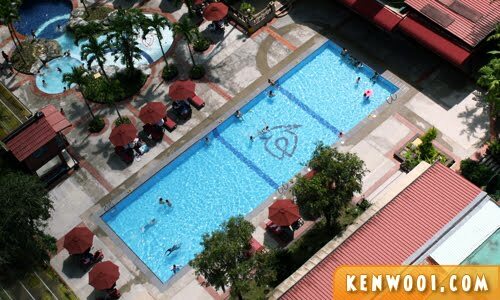 If memory doesn’t fail me, I don’t recall staying at the Awana Genting Highlands Hotel. And if it’s true that my memory didn’t fail me, it was my first stay here a couple of weeks ago. Although it’s always nicer to be staying at the peak of Genting Highlands, I guess staying slightly down hill doesn’t make much difference. 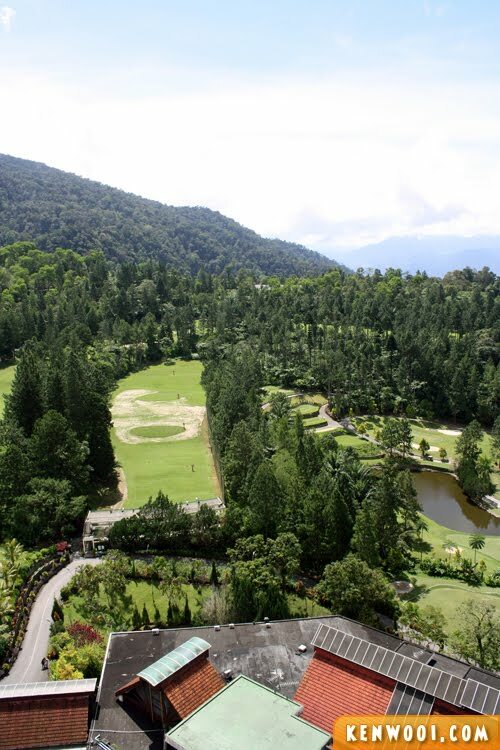 So yes, Genting Highlands was the destination over the short weekend. 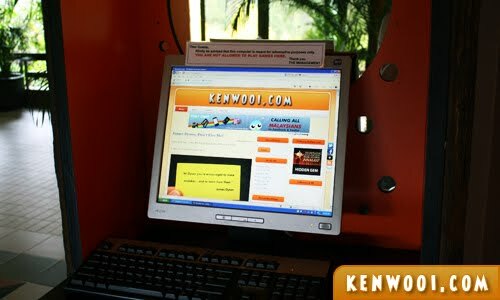 Didn’t do much up at Genting actually, so I’m just gonna stick to storying about Awana. 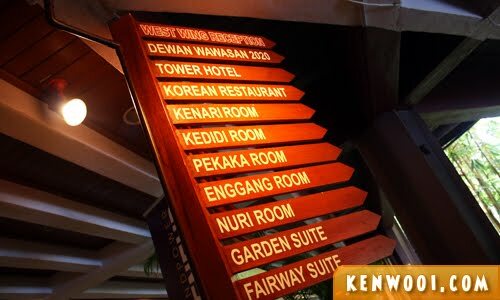 Kenari Room, Kedidi Room, Pekaka Room and Enggang Room – I wonder how did they come up with these birdy names. 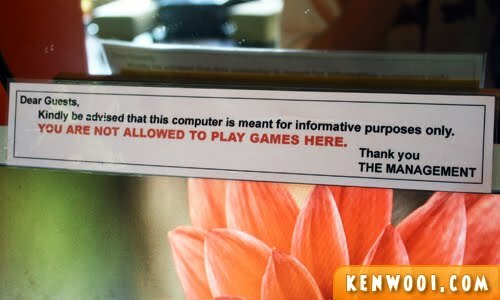 Amusing, I suppose. As usual, a swimming pool. Despite the lower temperature, some still brave the chilly water. 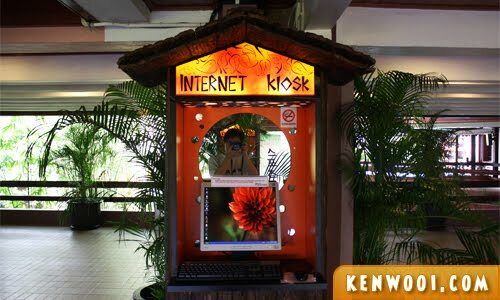 Another facility that I would, and many others, love the most is none other than the Internet Kiosk! Yes, free Internet. Who doesn’t love FREE Internet? Can Facebook, Twitter and check out my own blog instantly and conveniently. So cool right? But I guess it’s only applicable to smartphone-less person like me. Heh. Do social media and blogs have anything related to informative purposes nowadays? I guess not. But still… I don’t care! Anyway, the hotel room at Awana (basically at most good hotels) are surely one comfortable and cozy room. Especially when the surrounding atmosphere is cooler. This pair of comfortable slipper certainly come in handy, particular for guests who don’t bring their own slippers – like me, for example. So whenever I walk around the hotel’s vicinity, I would slip my feet into them and just walk out #likeaboss. Walking on the tar road, while taking photos outside the hotel. Oh yeah, if you’re wondering – yes, I was still in my sleeping attire. Lazy to change lah! Shot in the morning, on the way to the in-house restaurant for breakfast. Heading towards the lift, getting back to the room. Snap! Someone stepped on my beloved slipper while I was walking around, and it got torn instantly! Eh… HOW TO WALK BACK LIKE THAT? One leg bare-foot? Yes, I literally had to walk back with a casualty. Hmph! Dear white soldier, you have served me well. After all the hardships we’ve been through, you’ll be remembered. I’ll never set foot on another hotel slipper. NEVER! May you rest in peace, paper slipper of Awana. 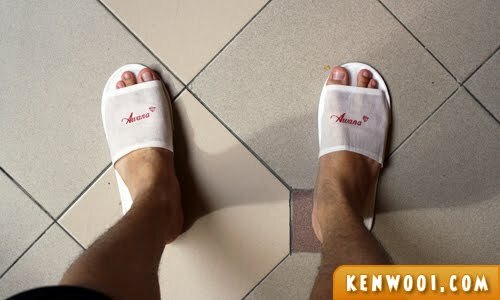 Ya…some hotels provide those BEDROOM/BATHROOM slippers – not meant for walking. LOL!!! Ya…your room IS so messy!!! Eyewwww!!!!!! You need a woman’s touch…but I think young girls today aren’t much better. Right or not? HAHA! poor paper slipper. supposed to be for the room but you took it to so many places. you overworked the poor guy! in some countries, that’s considered worker mistreatment. what lah! Give paper slippers. 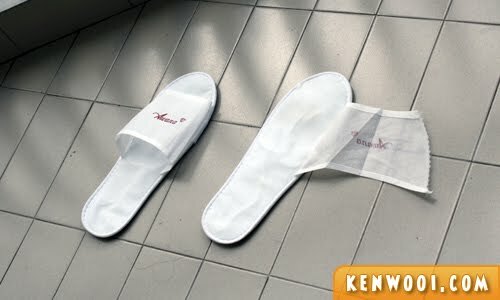 Give la the proper ones..
oh i tot that slipper cannot bring outside. just for the room. so funny la when the slipper be like that. hikhik..the moral is, do not use for walking at outside. 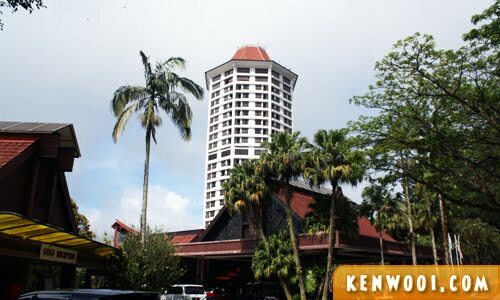 eh…awana hotel’s food is absolutely AMAZING…And i meant for all breakfast, lunch and dinner…everytime i’m there (my father’s company used to go there for team training)..the food is a must try..the variety and taste….oh!! so good! LOL! I wonder if they charged you for that torn slipper. It was meant to be used internally. Heh. Aiyo, who ask u to wear this out? This meant to be wear in ur room lah! paper slipper on the tar road seems to have ‘tortured’ the slipper. poor old pair there! you should kept it for emergency. What if the toilet has no toilet paper? You can use that shoes. Anyway, i think the paper shoes is a recycled material. Huh? You abused the Free Internet? And abused the slippers as well?! LOL!